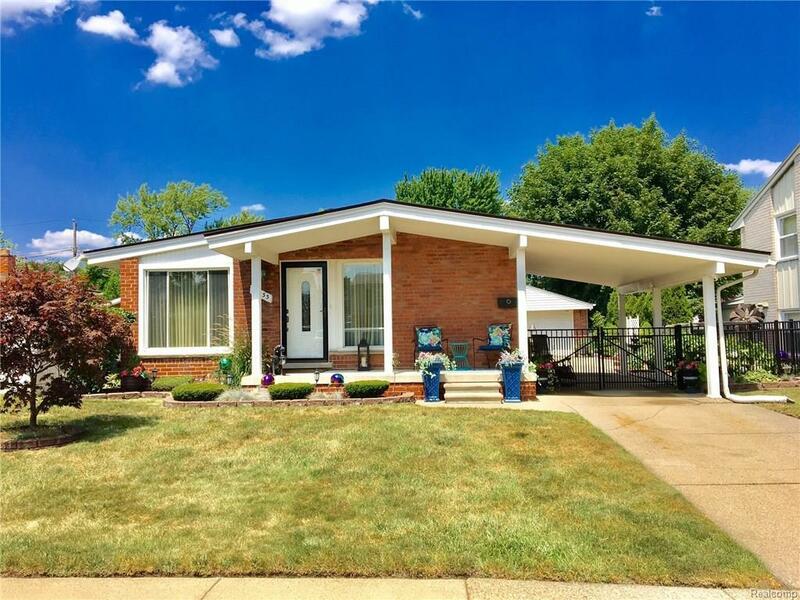 Don't miss out on this classic mid-century ranch in Madison Heights. Great location in the Lamphere school district, this home has been lovingly maintained by its current owners almost 40 years! Covered front porch, beautiful entry door, Lg & open w/ vaulted ceilings & oak hardwood floors (under carpet). Recently renovated kitchen w/ new cupboards, counters, floor, appliances, etc. 3 nicely sized bedrooms bath features original mosaic tile. The finished basement has a large rec-room, an adjoining family room, and laundry, furnace & lavatory. The carport makes for great entertaining space as there is an oversized 2 1/2 car garage out back. Gorgeous landscaping & many major updates. Make Home Here. Exclude landscape figurines & art-property currently tax exempt.